Gosh my kids are all grown up, but I never get tired of doing kids’ rooms. It’s a place where fantasy takes over and being serious is just not important. 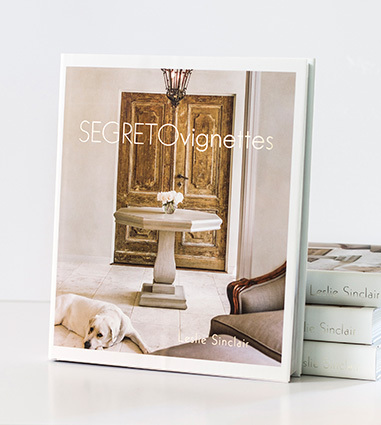 I hope you enjoy looking through these places of imagination–where kids have their own space and create rooms they can have all to themselves. these rooms were all designed to last 5-7 years and many have lasted for much longer. Tips on making these kids spaces last is to paint in a more realistic fashion (every age appreciates art), and if your child is 2 or older involve them in the process. The younger ones love to name the animals we paint, smell the flowers, and try to pick up the balls on the walls–too cute. The older ones really feel that they have their own refuge that they helped design and I so enjoy listening to their ideas about how they want their rooms to feel. Whether you are redesigning your child’s room or creating a fantasy land for those grandbabies, have fun with the process it’s a way to go back a bit to your own childhood!! 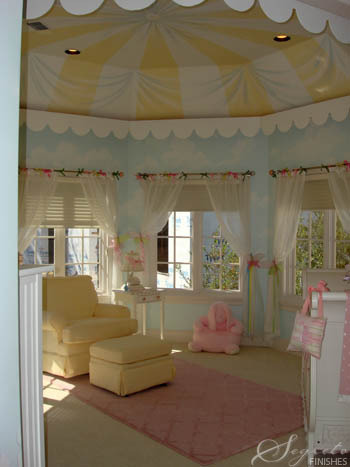 With a soft and dreamy room in mind for this little girl, a carousel was created which highlighted the wonderful ceiling shape. 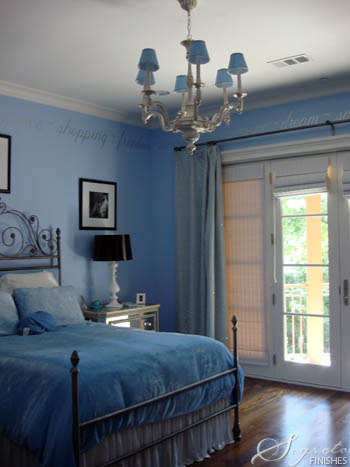 The color palette in this room is so soft and sweet–fit for wonderful dreams!! I love the animals–takes me back to my childhood and my favorite ride the carousel!!! 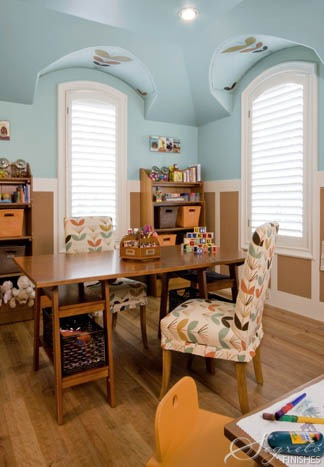 I worked with Designer Shelia Lyon in these next three rooms designed for a family’s young children. The tree in the corner of this nursery is just enough and combined with the stuffed animals crates and outside park. The over-sized animals are so fun for a little boy’s room. 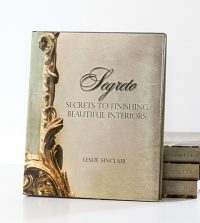 Small touched really create an impact and are easy on the pocketbook. The stripes on the wall done in cream and pink with a small green pinstripe transform a space into a room fit for a princess! This treatment can last well into the teen years. I love the upholstery detail on the bed. Some hip-fun colors make this playroom place of creativity and inspiration. The walls are painted a color from the fabric, which is also used as inspiration for the motifs painted in the arches over the windows. Shelia’s idea of putting cork as the bottom paneling is brilliant–what a perfect place to hang their art work at a level they can reach!! 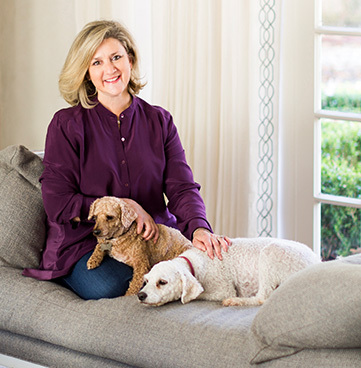 Thanks Janet Lenzen for these three professional photo’s! CHOO CHOO! 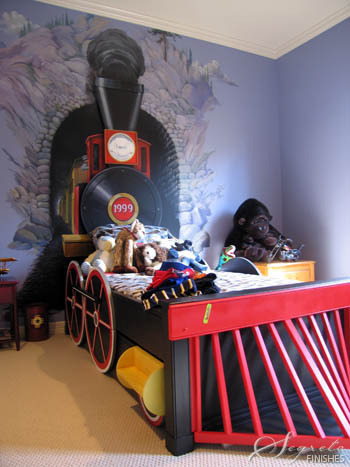 What little boy wouldn’t love a train bed?! When we first started with the mural we asked the him what his dream bed would be like. He said with great joy “A TRAIN!” So on this project, I brought my dad in, who is a retired engineer and carpenter, to help. My dad custom built this bed for him to make his dream come true!! The mural created behind the bed makes this toddler feel he is in motion!! 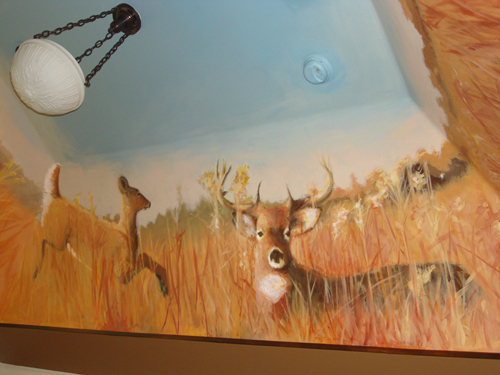 This outdoor mural was actually painted on the ceiling and not the walls of this 9 year olds room. It gives a wonderful detail and certainly will give him nice dreams as he looks up counting deer instead of sheep as he goes to sleep. 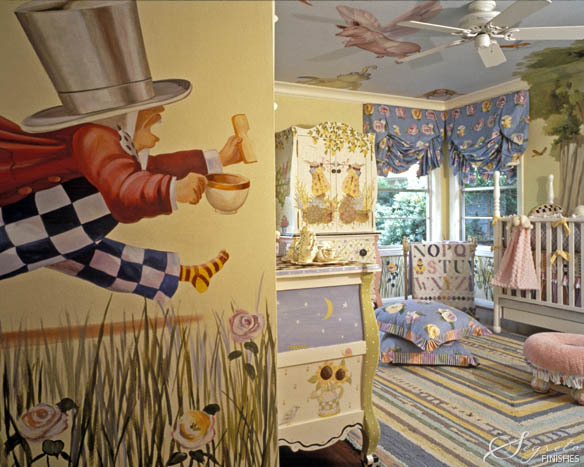 Creating an ‘Alice In Wonderland’ theme for designer Julia Blailock’s own little girl’s room was certainly fun—from the Mad Hatter to Alice peaking over the crown molding, this room has lasted this adventuresome little lady from birth through elementary school. What a great idea for a teens room. This bright lady researched all the inspirational words and phrases that we painted around the room. 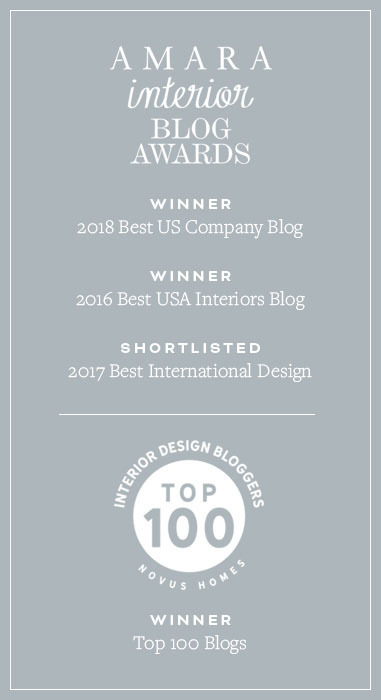 Designer Anne Lydick wanting to create a reading nook for his then 6 year old who loves soccer, the shape of the space was used to create the goal. To insure the room lasted, which it has through the Jr high years, the portrait of the boy playing soccer was painted to replicate him at an older age. 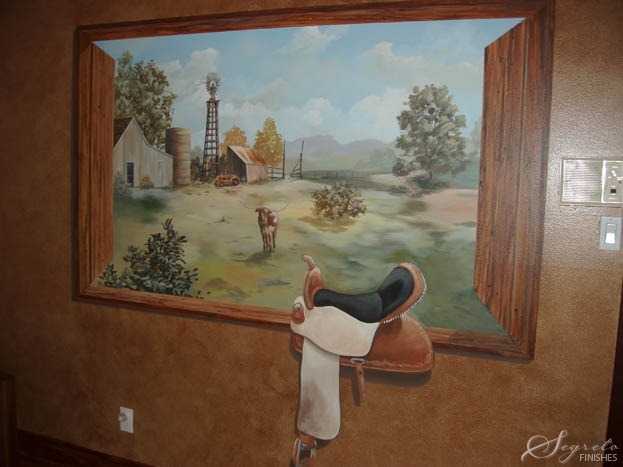 Painting things that are realistic certainly insure that your murals will last. 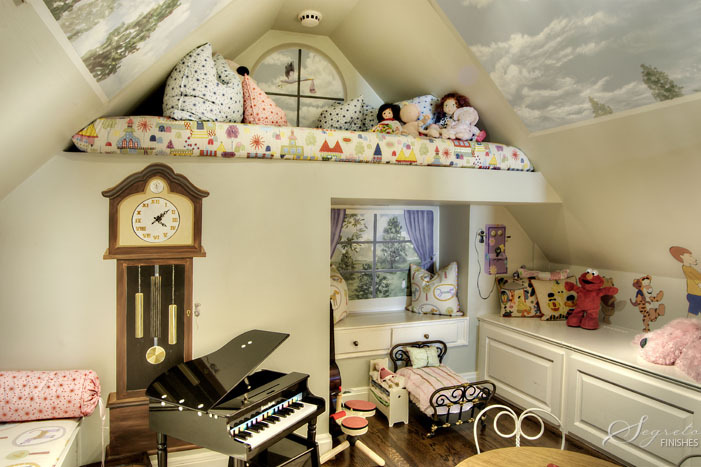 Many times in kids rooms they already have things hanging on the walls, so a ceiling is the perfect place to add interest. 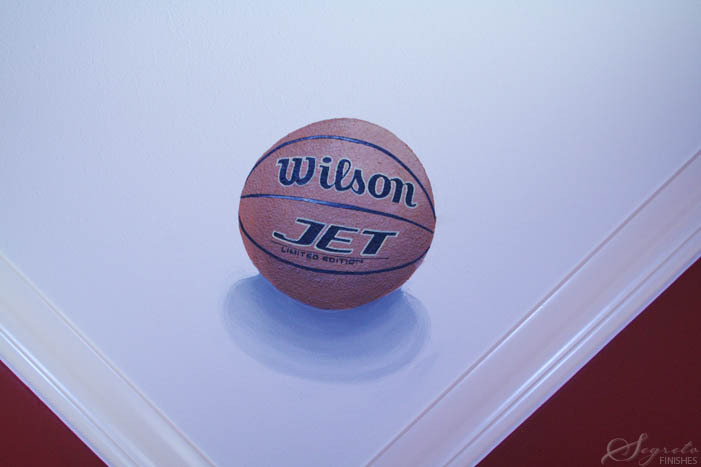 A different sporting ball was painted in each corner of the room! For Girls flowers and ribbons in the corners do the trick!! This playhouse was created in a cubby that was a previously unfinished space near the den. 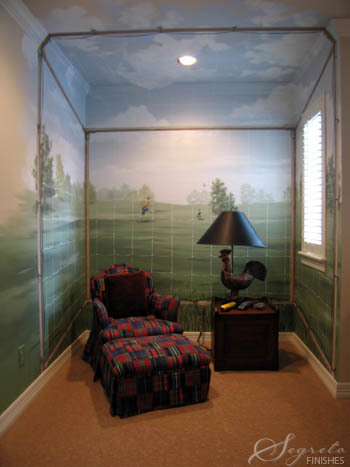 Murals were painted to open up the space and fill a room where you couldn’t add much furniture—the clock, phone, windows, curtains, sky, and even the Christopher Robin characters were painted to make this place space come alive. Creating a western room for this 9 year old where he could dream of living on a ranch takes him away everynight when he goes to bed. Adding windows in smaller rooms really opens up the space and makes the room feel larger. 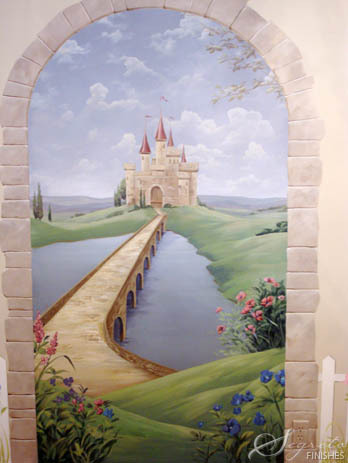 Working with designer Elizabeth Koval was enchanting in creating castle scene!! This is where Prince Charming will sweep this little lady off to her Cinderella Castle–placed behind a sitting area with a table and chairs creates a separate play space in this little girl’s room. 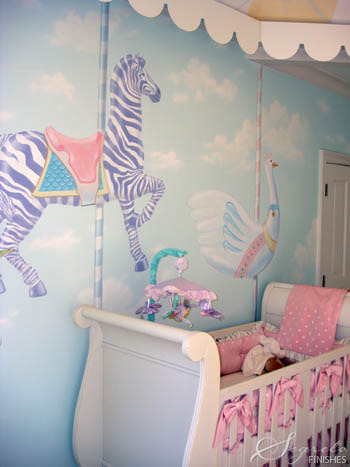 Murals like these can be painted on canvas and applied to the wall so the mural can be saved when the child outgrows it and reapplied in her own children’s room. So special and so sentimental!! Want to wake up in a jungle every day?! 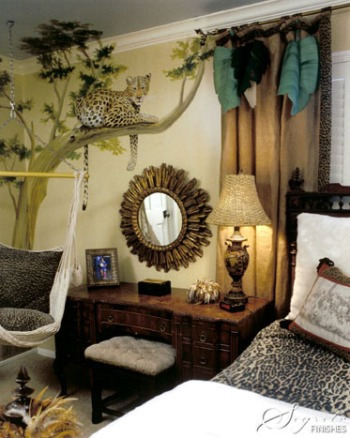 The swinging chair under the leopard is a fun, cozy place to sit. The leaves on the burlap drapes were actually placemats found at Stein Mart and they really complete the look…how creative! 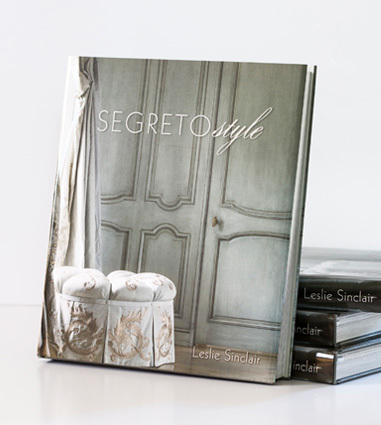 Wanting a soft, whimsical room, these walls have a tone on tone stripe. This was done using a gloss and a flat paint of the same color. A thin silver pinstripe was placed on either side of each stripe giving a bit of sparkle to the walls. I love the butterflies floating above the crib. this room could last from birth to graduation. Seeing these pictures should bring out the inner child in us all! I hope you all have a wonderful week and will visit with you again on next Mondays post!! << Industrial Ranch Part 2!! I'm sure kids will love their room if it is just like those in the photos. They will enjoy spending time in their room. Impressive and very realistic room design. I love the way those designs are put and how the furniture compliment with the design. Are there more details you can share about how you made the large wood train bed? Hi Kristin!! That bed was so cute! My Dad built it for the client and it was so long ago. I will ask him to see if he has more details!! I did love it too!